Garmin vívoactive HR: the ultimate smartwatch for people with an active lifestyle. Garmin vívoactive HR is the ultimate model from the famed Vivo series, a group of wearables/activity trackers designed for people who like to stay active and lead a healthy life. This spectacular GPS smartwatch includes a wrist-based heart rate monitor and features a sunlight-readable, high definition color touch screen for information on the go. It also includes a built-in GPS-enabled sports app that monitors and tracks your running, biking, swimming, etc. without having to connect to your phone. If you are curious about what Garmin vívoactive HR is capable of, this is the article for you. Read on to learn more. I have previously written about the vívoactive without HR, so be sure to check out that article too. Also read: Fitbit Charge 2 for Everyone! Garmin is a popular name in the world of wearables. Time and time again, the company has produced some of the most stunning wearables that have helped people maintain an active lifestyle. Garmin vívoactive HR features the trademark Garmin wearable design lines and the user has the option to customize the look of the watch with free watch face designs, widgets, and apps from the exclusive Connect IQ store. You can also use Garmin Connect to pair the smartwatch with your phone and receive smart notifications and smart coaching ideas. The device has a battery life of up to 8 days in watch/activity tracking mode and can run for about 13 hours when used with GPS. The smartwatch features the impressive Elevate wrist heart rate technology that reads the heart rate data of the user and provides useful information on the go. Vivoactive HR provides you information about burnt calories and gives amazing insights over the intensity of your fitness activities and workout regimes. It helps you stay up to date with all your active moments while you run, bike, swim, golf, ski or more. The GPS-enable built in sports app also tracks your stats and uses smart notifications to help you stay connected. The device never stops tracking your movement, counting steps, floors climbed, monitoring sleep and also measures your intensity minutes. Garmin Connect is a free app that tries to understand you by keeping a record of your past active moments and provides useful and exciting insights to help you be even better in the future. The app inspires you to move if you are lagging behind on your daily goals and applauds you with shootouts when you complete your pre-set milestones. Garmin Connect is also the best place to get healthy tips from experts and professional trainers on the go and works like a virtual coach to your workout regime. Staying in shape and improving your overall health has never been easier. Running with a fitness tracker. Running: The device uses its built-in accelerometer and GPS to help you track your running. 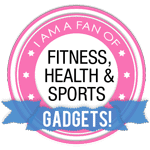 It allows you to set up vibration alerts for heart rate, pace, run/walk, intervals, etc. and features customized workout features such as Auto Lap and Auto Pause. It also provides you with a completes summary of running stats post workout such as total distance covered, average speed and time taken. Biking: The GPS-enabled cycling app helps the user track time, distance, speed, and calories. The user can also measure their progress using the compatible sensors such as speed and cadence and the device is also compatible with Varia® lights and radar that enhances the biking experience while ensuring a safe ride. Swimming: You can monitor your total and interval distance covered, pace, stroke count, stroke type, etc. and the swimming app helps you calculate and enhance your swimming efficiency by tracking the time and b-number of strokes it takes you to swim a standard pool length. Golfing: The user can play a new course everyday by downloading one of the 40,000-course maps worldwide for Garmin’s golf course database. The golfing app also lets you track your score to help you know if you are under or over par. Rowing: If you are interested in paddle boarding or rowing, the paddle boarding app in the device lets you see your pace, overall time, distance and stroke at a glance. Skiing: Vivoactive HR tracks your 3-D speed by calculating the speed and the distance on an incline versus latitude and longitude. You can connect your Garmin fitness tracker with a compatible device and receive all the notifications, from phone calls to social media alerts, instantaneously. It also displays real-time weather and temperature that allows the users to plan their activities in advance. You can also control the music on your phone via the device. The free Garmin Face It watch face app lets you customize your smartwatch’s display with any photo from your smartphone. All you have to do is download the app, choose the desired image and adjust the style for time display to set it as your watch’s new face. Let us now compare the Vivoactive HR with other wearables from the Garmin Vivo series. I recommend purchasing a screen protector for extending the lifetime of the product. It is easy to bump into things that could scratch up the display. It is also possible to buy new soft silicone wristband replacement bands if you want to change the appearance of your smartwatch. This fitness tracker is compatible with lots of other Garmin equipment like the VIRB action camera, Bike Speed and Cadence Sensors, Tempe temperature sensor, Foot Pod and chest strap heart rate monitor. Swimming with a waterproof fitness tracker. All in all, Garmin vívoactive HR has everything you need in an activity tracker. Some of the enhanced features offered on the device are only available in premium smart watches that are way too costly for an average user. Exclusive design lines, stunning color touchscreen display, interactive apps, customizable face and multiple apps to track and measure your workout sessions make the vívoactive HR one of the best wearable Garmin has to offer. Where can I buy Garmin vívoactive HR? Always click the button to check recently updated price and additional info and reviews. Materials Silicone band and polymer case. Chemically hardened lens glass. Andreas, wow, this activity tracker sounds amazing! I love how it tracks without having to connect to your phone, which is especially helpful for swimming, which is how I would probably use it most. Thank you for this in-depth review. I always enjoy learning what’s new in the market. I will have to save up to afford it though I think! I’m looking at high intensity interval training as a way to get rid of some persistent belly fat. This looks like a good way to track both interval and intensity. Granted its quite a bit more than I have considered paying but perfect solutions always cost more than so so one’s. Don’t they? You mentioned the la k of a built in fitness/cardio app as a “con” but it hardly seems needed when the watch measures both pace and heart rate. It even stands in as an accountability partner! Your review for this products looks very proffessional. I like that you have tables that include the pros and cons, pros and cons are something that really makes the decision on a product like this It may help to talk about them earlier although your placement really does look good.